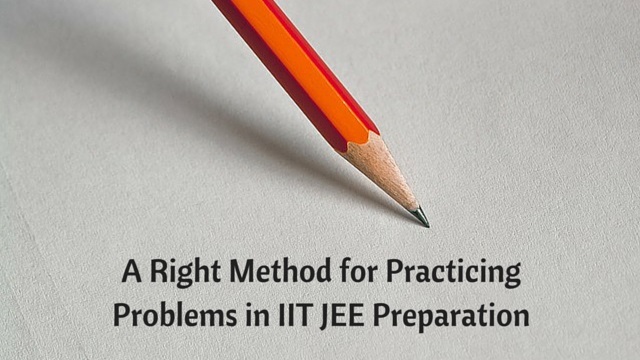 Here, I am going to tell you the right method one should adopt while Practicing & Preparing for IIT JEE and other Competitive exams. JEE tests your Basics. Without this Ground Step, you cannot rise High. Be really thorough with the Concepts. Make Summary Sheets to revise Important Concepts and Formulas weekly. Use One/two Good Books and Internet for this. 2. Practicing Problems and Understanding Problem Solving Methods. This is the Crucial STEP. The way you do it defines Everything. When you take up a Question. The very first thing is to Understand the Question. In JEE the questions are bit Descriptive and Tricky. You better have a good Understanding of what is being asked and what is given to you. Now think of the Formulas that you will be using to solve it. Or Virtually figure how you will be solving that question. Now If you are sure that you can answer it, Move ahead and solve it. Ensure that it does not take much time. If you still have no Clue how to go about, Skip that question. Do not let that question Eat up your time. This should be done really fast. Say If you allocate (1.5 – 2) minutes for a question. Skip that under 45 Seconds. Try for even less! After you complete the paper once, Go through the questions which you could not do in your first attempt. Solve them Now. There is a good probability that you will make it this time. 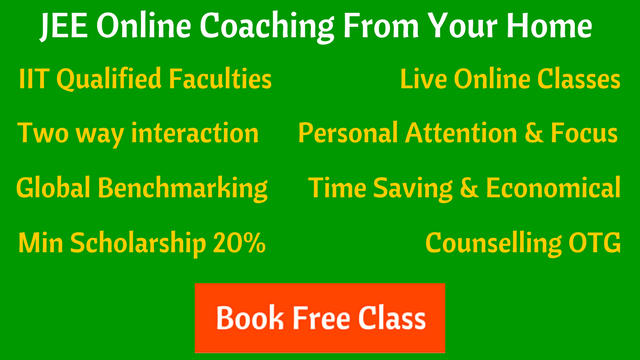 Now just Imagine If you follow this not just in Exams but in all of your practice Sessions. How strong will you get at solving Questions? After Solving a Question One should start evaluating himself in terms of Speed, Line of thought (thought process) and Accuracy. Keep a track record of time you spend on solving a question. Write it on the same page where you solve the question. Mark any new Problem Solving Technique that you used to solve that question. Write there What went wrong or Right when you were solving that Question. Mark your Silly Mistakes which you made while Solving that Question. Identify Unnecessary Calculations and avoid them next time. Revise this Rough Notebook every time before starting your problem solving session. Your mind will always keep track of your mistakes and your problem solving. You would literally get Unbeatable. During this, Build up your Concentration, Perseverance and Presence of Mind. While Solving Paper, a student should have PERSEVERANCE to try HARD to get to the ANSWER but at the same time he should be CAREFUL of TIME CONSTRAINT & SKIP question as soon as possible if he finds himself nowhere close. Anmol Thakkar is currently an undergraduate Student at IIT Kharagpur. Being Autodidact and self motivated he Cracked JEE in the second bout with none to coach. An Enthusiastic Coder and a Chess-a-holic. His zeal for learning and his nature of digging deep down in whatever he pursues has enabled him to reach heights. He is also involved with Free Education Platform Collegepedia started by KGPians.